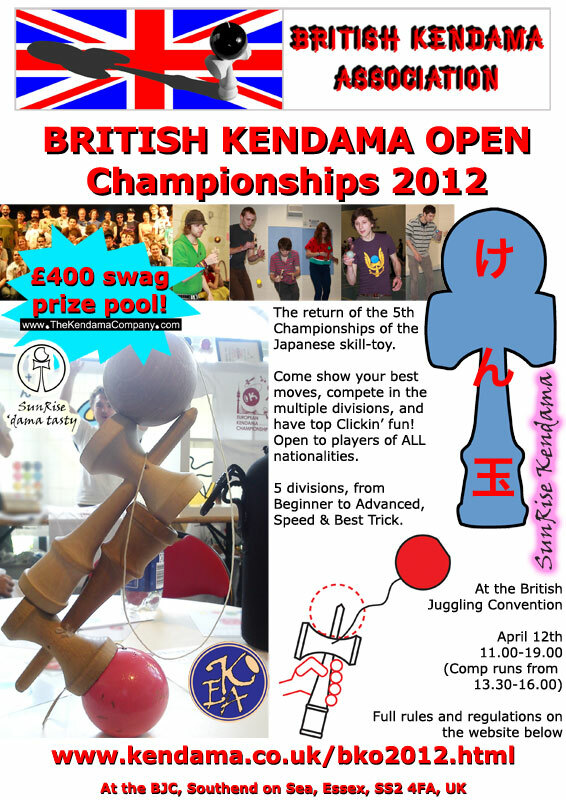 The British Kendama Open will take place on Thursday April 12th, as part of the British Juggling Convention in Southend-on-Sea. Full details and trick lists are out now! 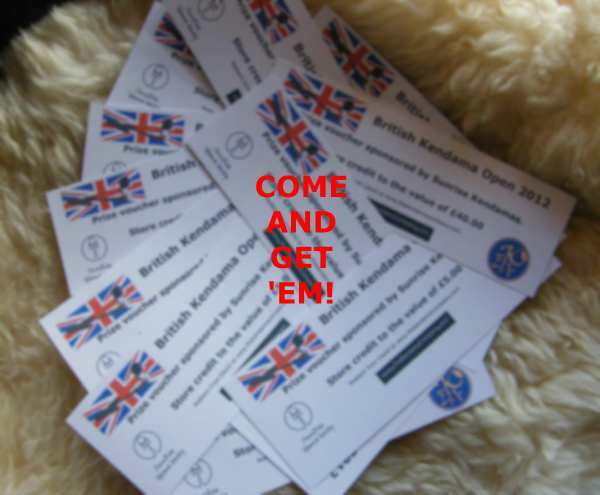 Massive prize fund announced: £400s-worth of vouchers. BIG THANKS to David at Sunrise Kendamas for this. See the tricklists now! (Link in first post, above). Don't forget good olde tk 16 for an approved kd! That is really challenging set of tricks. Thank you. Matt & I agreed to come up with the list between us. We each came up with a list of our own first - mine was probably too conservative, Matt's was probably too hard. So we slammed them together, and I think we've ended up with something that is about 10-15% harder than last year, with 50% new tricks. It should be at about the right level to keep everyone on their toes, hopefully! Damn, it's winter, and I can't practise Moon Circle in my kitchen!! Any chance of replacing Swing To Pinky with something that's accessible to those of us with big fingers? Yeah it is full of British tricks that I must say I don't like for example the real Slip on the stick and Gunslinger spike. Btw. is Matt going to join the Advanced? He has advantage, because he knew the tricks sooner then the rest. So what do you think? @GbH Maybe you can use a some sort of special spiked glove? Actually that might be pretty cool anyway. Damn. That's what you get for "fixing" something and then going out. I'll fix it at 22.30 tonight. oh no, I am going to fix it now.